7.26am Friday 21st September. 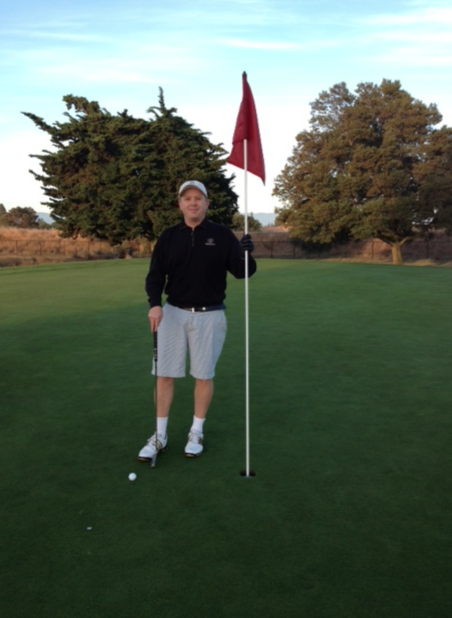 Par 3, 180 yard 5 iron in hand…. slight mist rising over the Palo Alto Course…. With a fading left to right ball flight, the ball hits the pin with a thud on the full and lands 18 inches away from my first ever hole in one chance. I’ve been playing golf regularly once a week for many years and started golf when I was 8 years old. So close, so far away from the penultimate…. that’s Silicon Valley for you… be it on the course or off it! Thank for the photo Jose!